A suspicious car was detonated by the Belgian army in the center of the city of Vilvoorde, according to statement of a police spokesperson. 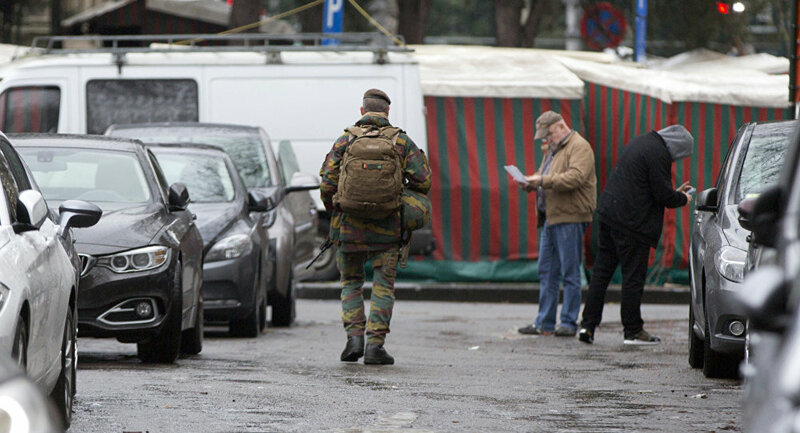 BRUSSELS (Sputnik) – The Belgian army sappers detonated a suspicious car in the center of the city of Vilvoorde, a police spokesperson said Sunday. Earlier in the day, media reported that a local resident called the police about a suspicious car which had been parked in front of the city’s church for two days. "The military sappers arrived at the scene and carried out a controlled explosion of the vehicle, but I cannot confirm whether there were explosives in it," the spokesperson told RIA Novosti. According to the spokesperson, the detonation was carried out on the spot. The terror threat level in Vilvoorde has not been increased, unlike capital Brussels, and remains at the second-highest mark of three. At least 130 people were killed and over 350 injured in suicide bombings and shootings at a football stadium, a concert hall and restaurants in Paris on November 13. Following the attacks, the Belgian police carried out a series of anti-terrorist operations detaining a number of people in Brussels, after it was revealed one of the attackers had lived there. At least 16 suspects have been arrested, according to media reports.